If you have a child or grandchild that has jumped on the squishie bandwagon, you will appreciate this post more than you know. I found out how to make squishies and shared it with Gabrielle and she has not looked back since. She has been making squishies every week ever since. I love how creative of a project it is, but there is also a lot of science going on too. 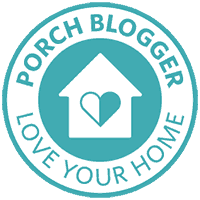 It is a win-win and we are going to show you all about it! 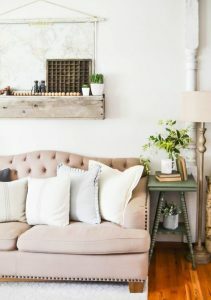 I knew I wanted to share this post, but I didn’t set it all up to have staged photos. I wanted to catch Gabrielle when she was making them and when she said I could take photos of her making them the other day, I just ran with it. The process photos aren’t the prettiest photos, but I jumped at the chance to act as paparazzi as she created away that afternoon. To start, cover the work surface. 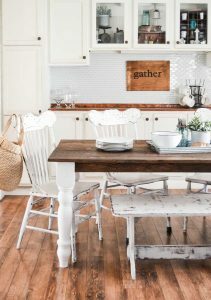 I always pick up plastic table cloths when I find them on clearance so we have a lot of them. The kids always use them for messy projects like this. To prep the project, Gabrielle likes to cut the Solo cups in half to make them shorter. Then, she uses a permanent marker and writes “A” on one, “B” on one and “mix” on the third one. Then, she writes the same thing on each Popsicle stick. (One Popsicle stick to coordinate with each Solo cup). 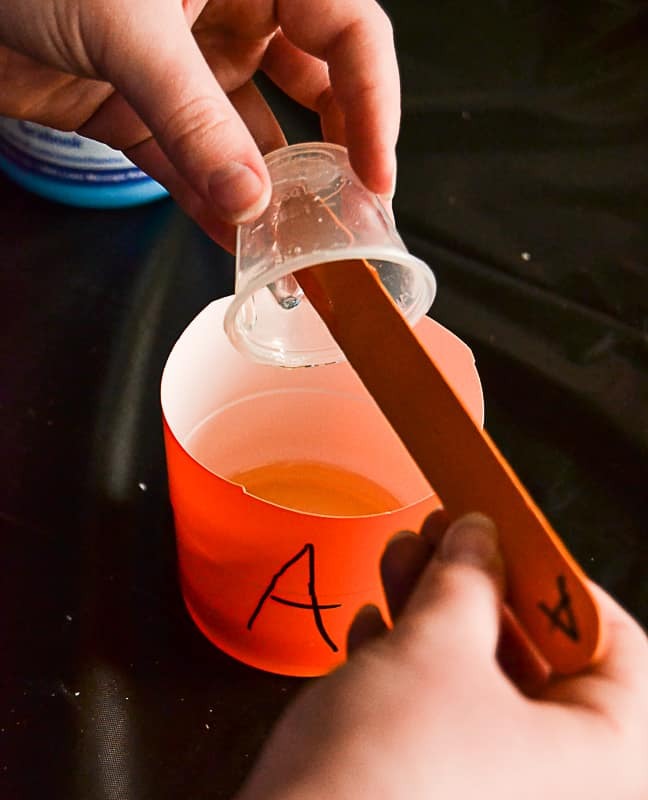 To start the mixing process, first measure out the “A” container from the Flex Foam-iT! III Flexible Polyurethane Foam Kit into whatever you are using to measure. 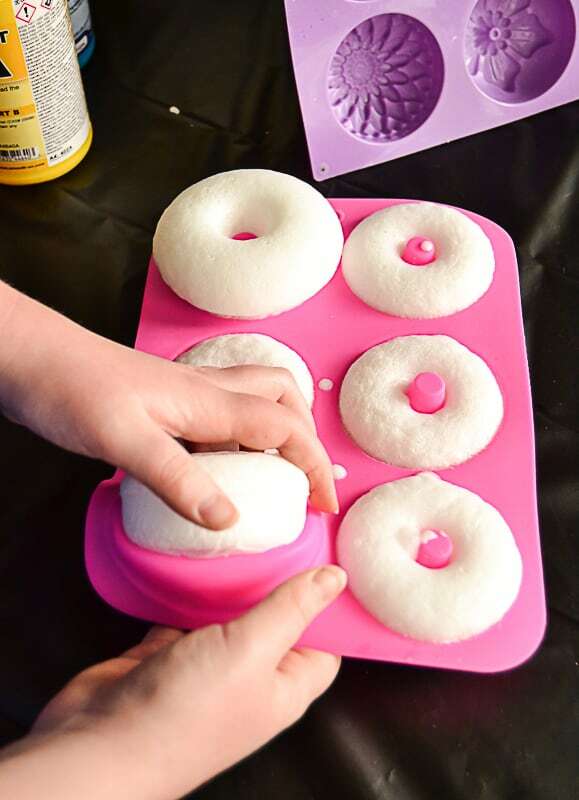 For Gabrielle to make one silicone tray of donut squishies, she measured two tablespoons of part “A”. 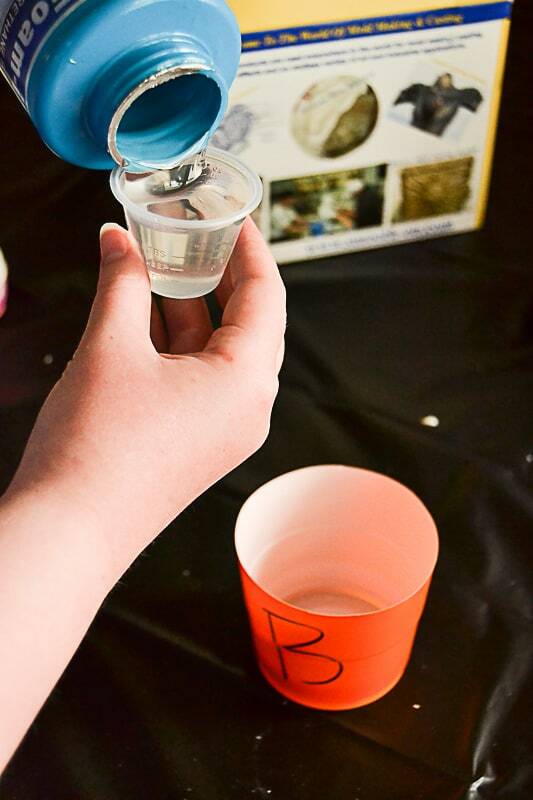 Once it is measured, pour it into the Solo cup marked “A”. 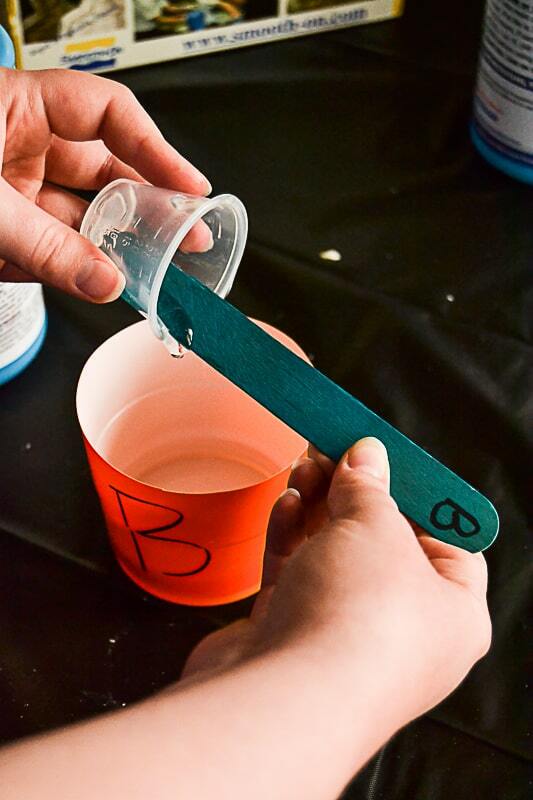 Then, rinse out your measuring device and dry it and do the same thing with the “B” bottle from the Flex Foam-iT! 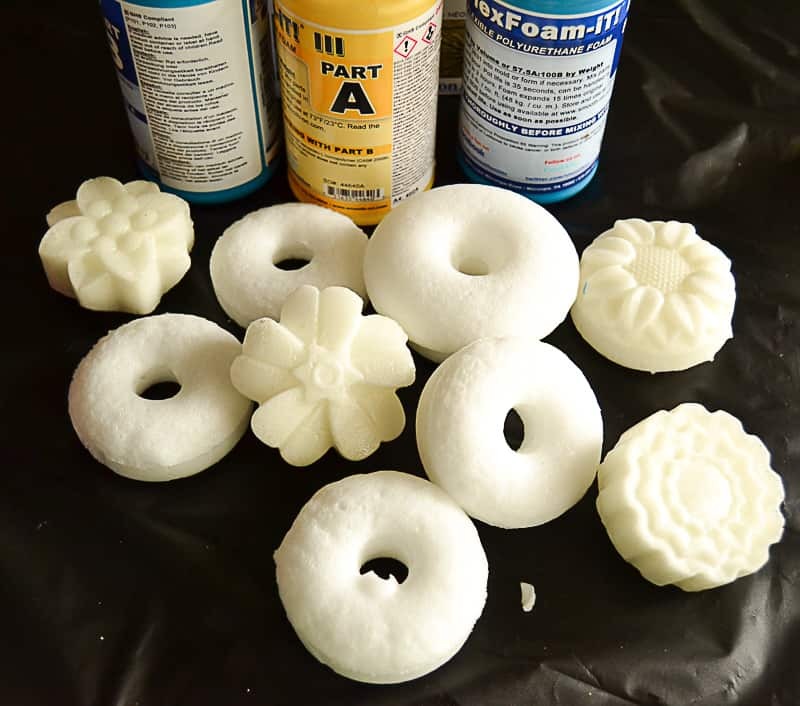 III Flexible Polyurethane Foam Kit. 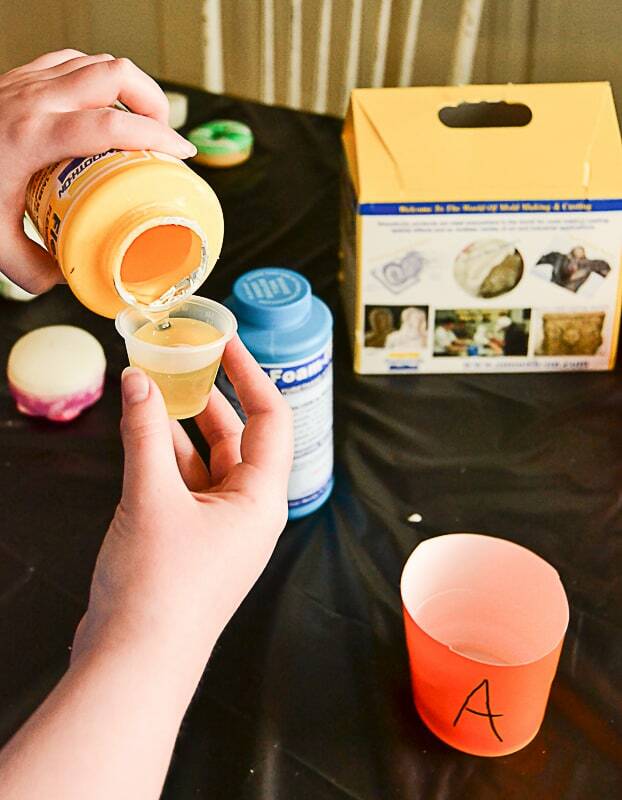 Once you have both “A” and “B” measured and put in their respective Solo cups and the measuring tool has been cleaned out, it is time to mix. 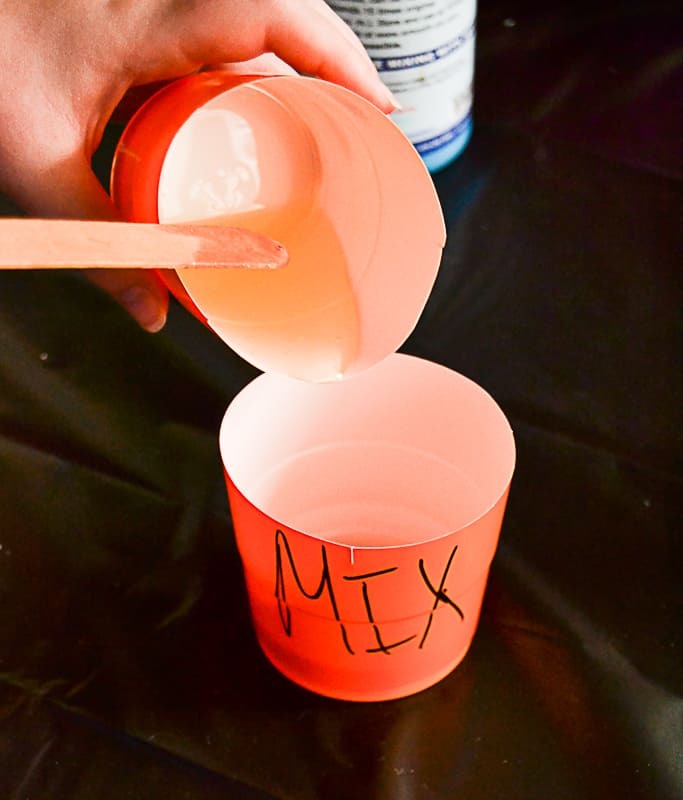 Pour the “A” mixture into the “mix” Solo cup and use the “A” Popsicle stick to scrape out all of the contents. Then, add the “B” solution and do the same thing with the “B” Popsicle stick. 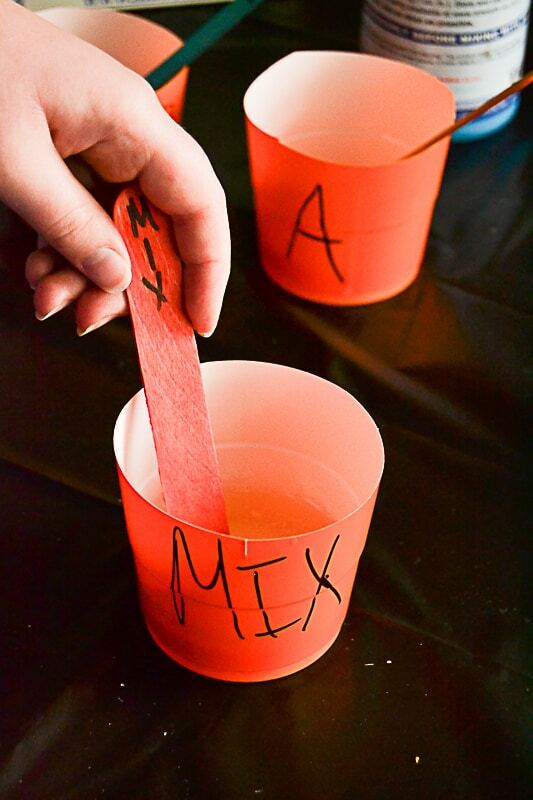 Once both solutions are in the “mix” Solo cup, use the Popsicle stick marked “mix” to stir them together. Once they are mixed, you need to work fast. 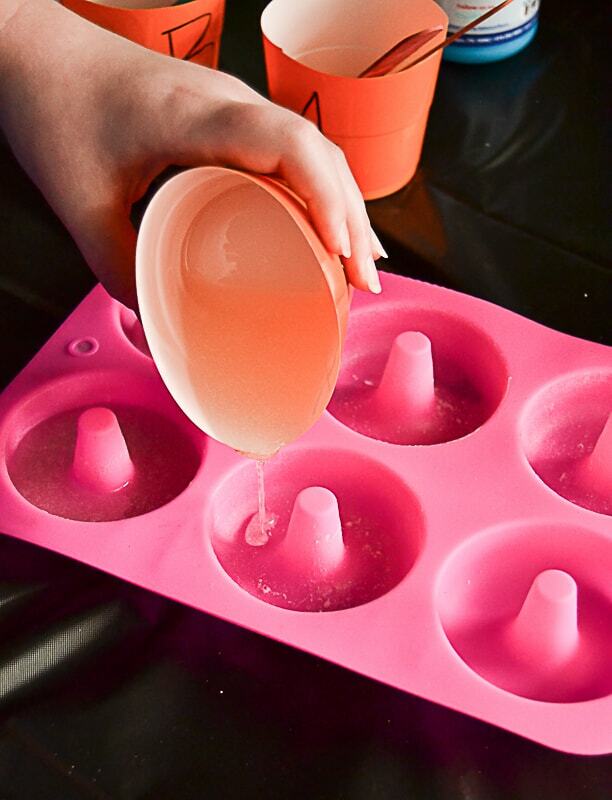 Pour the solution into your silicone molds quickly. NOTE: You only need a little bit in the molds because they grow in size significantly. For the donuts, Gabrielle just pours the solution on the bottom layer and it will reach the top by the time it is dry. Your kids can play with this. They can discover how high they want their squishies. 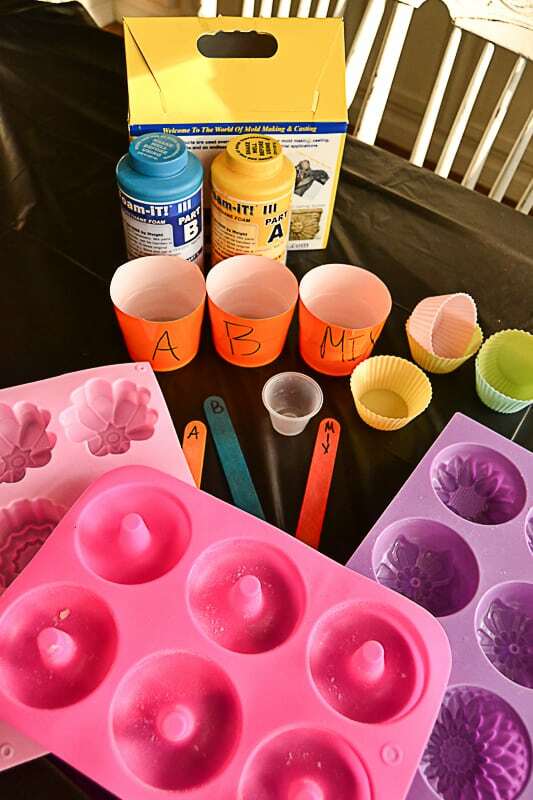 Gabrielle has done so many experiments and has learned where she likes to pour in each of her molds. 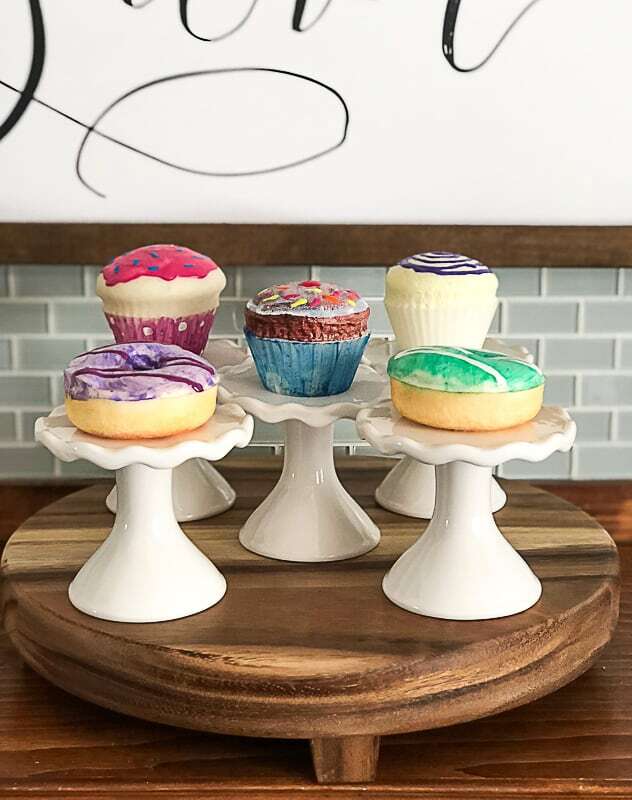 I did have her pour a little extra in one of the donuts for this post so you can get an idea or how much more it actually grows in size. It takes about 30-45 minutes for the squishies to fully set. 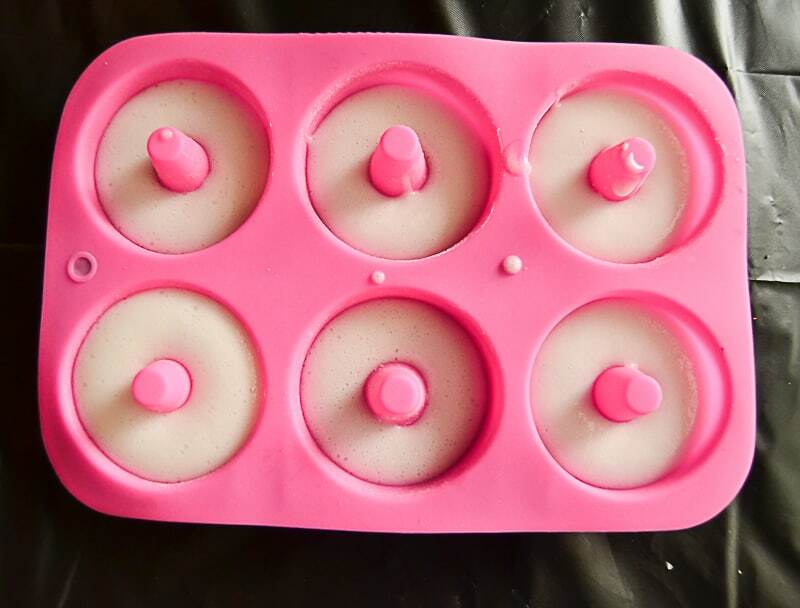 Once they are set, you peel them out of the silicone molds. Now, they are ready to come alive with paint. 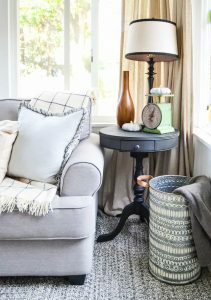 Make sure to use fabric paint (we use the paint HERE). We love this part! Gabrielle has come up with so many beautiful squishies from the way she paints them. It is fun for her to have different silicone molds too so she can come up with all different kinds of squishies. 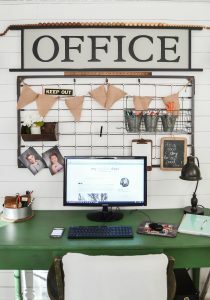 If you have kids who love to be creative, I highly recommend this project. Not only is it a creative project, but there is also a lot of science behind it as well. It is an experiment every time they make a batch. 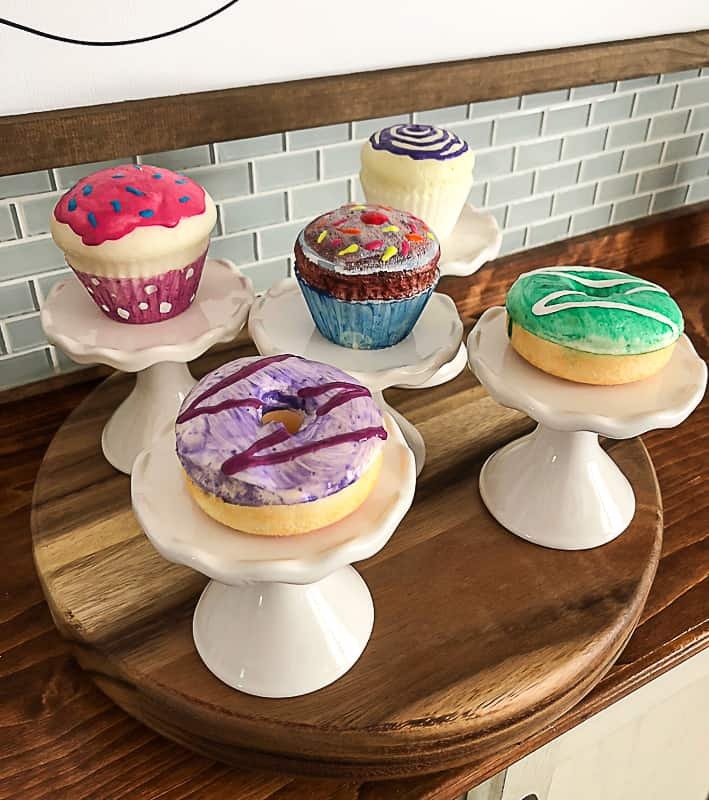 I hope you found a new way to entertain your kids with this How To Make Squishies post. 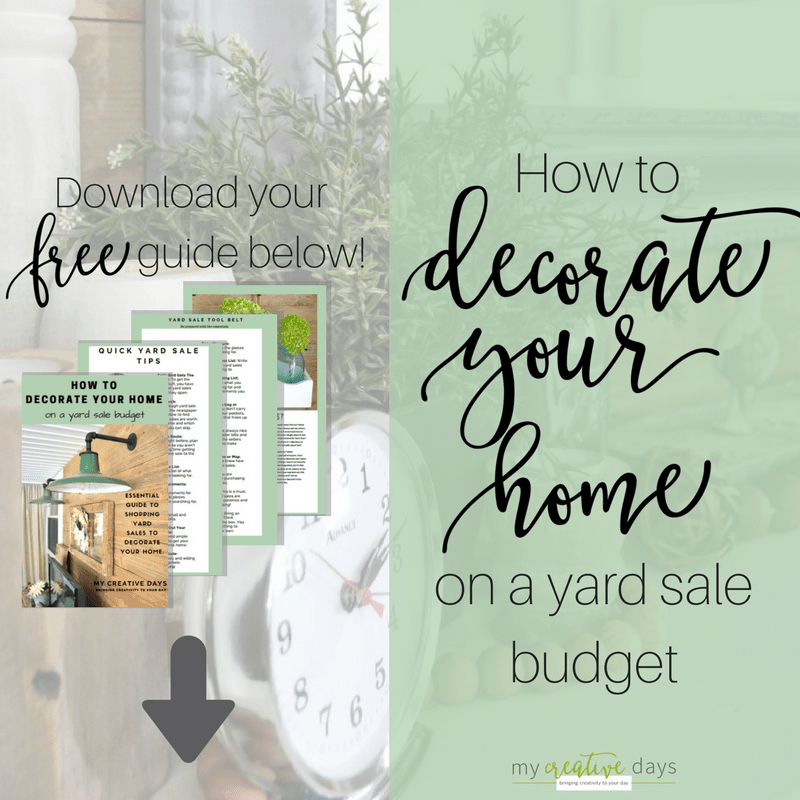 This would also make a great gift idea too!!! My daughter and I want to make squishies, we found the video to be real helpful and inspiring. Thank you for letting me know! We have had the most fun making them! Can’t you just measure right into the mix cup both in the mix cup instead of transferring them twice? We have never done it that way. You could always try it and see how it goes.